Over 90 restaurants around Qatar are serving a curated “QIFF Menu” throughout the month of March, as part of the 10th edition festivities of the Qatar International Food Festival (QIFF). QIFF Menu has been a popular feature of the festival in previous editions, adding to the festivities of the annual event outside its main venue, which this year will be Oxygen Park in Education City. Restaurants and cafes are offering an exclusive 3-course QIFF Menu consisting of a starter, main course and dessert, at discounted prices of 45, 95 and 125 QAR. Among these, 35 restaurants are in hotels, 16 inside malls and over 40 are standalone restaurants. While the festival is taking place from 20-30 March, people can enjoy QIFF Menus at their favourite restaurants throughout the month of March. Six top restaurants from Aura Hospitality and Food Services and Palma Hospitality Group are offering different QIFF Menus to their customers with discounts totaling up to 30%. These restaurants include Remman Café, Gahwetna, Jwala, Baladna, La Casa, and Mokarabia. This edition of QIFF marks 10 successful years of paving the way for opportunities in Qatar’s F&B sector while welcoming visitors and residents to enjoy the diverse flavours of the world at the forefront of Qatar’s picturesque venues. To celebrate its milestone anniversary, QIFF is hosting 35 international and local celebrity chefs from 17 countries to show their culinary magic in its most popular Live Cooking Theatre. These include: Iron Chef Morimoto Masaharu, renowned program presenter Jameela Al Lanquawi, French pastry chef Dominique Ansel of ‘Cronut’ fame, Celebrity Chef and TV host from Food Network Siba Mtongana, and the famous Qatari chef Aisha Al Tamimi.  This edition’s strategic partners are Qatar Foundation and Qatar Airways. Other partners include, beIN, Vodafone, W Doha, Torba Farmer’s Market, Kidzania Doha, Aura Hospitality, Qatar-India Year of Culture, Akly, La Cantine, Talabat, Uber, Chargello Qatar, Wahab, The Cooking Academy, and Qatar TV. Next article10 reasons why you can’t miss this year’s Qatar International Food Festival! Gadget Review – Samsung Galaxy S9.